Maria Shriver challenged the Shaklee family to impact a million lives with #MindWorks and donate a portion of proceeds to brain research. And we accepted! As a group, we’ve done some amazing things together. We’ve planted trees, we’ve helped hundreds of thousands of people get healthier and we’ve been on the forefront of creating entrepreneurial opportunities for countless families. Now we’re taking on an exciting new challenge. The MindWorks Challenge! Through the Shaklee MindWorks™ Challenge we want to impact the minds of 1,000,000 people with this innovative product. 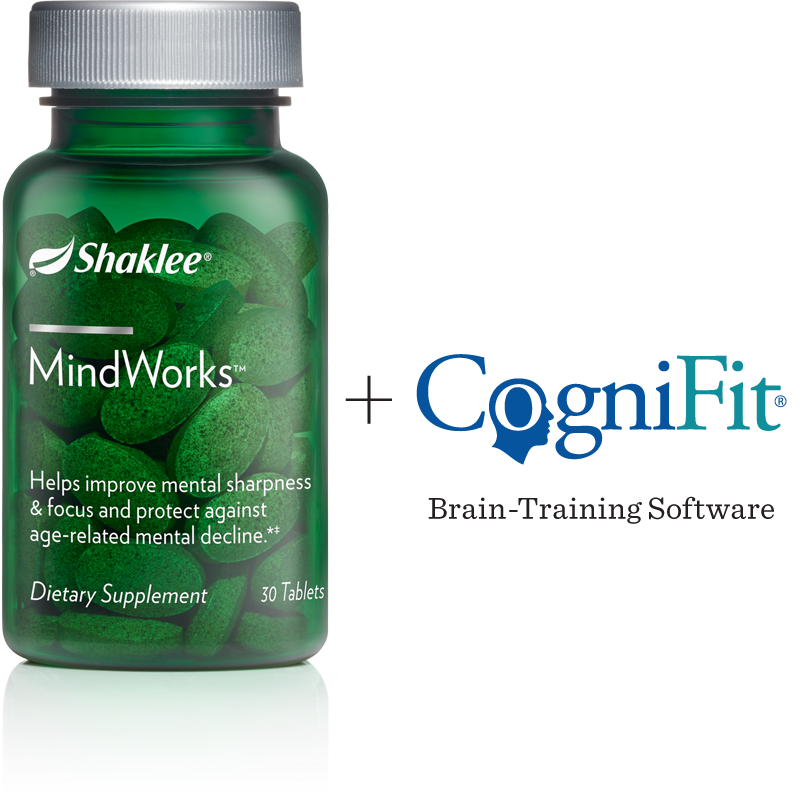 And for each bottle of MindWorks purchased, Shaklee will donate a portion of the proceeds to fund brain health research through a university research grant program. Shaklee Research Grant Program pre-exists this Challenge, and was not specific to brain research. However, the RFP (Request for Proposals) for this challenge is absolutely specific to brain research. The deadline for the first round of brain health proposals (following requirements of Step 1 in the application process below) is November 30, 2014. Learn more and apply for a research grant. Support Brain Health Research and sharpen your mind too. Purchase MindWorks Online purchase includes Brain-Training Software.